Used Adams A5 medium large bore Bb trumpet in gold lacquer. 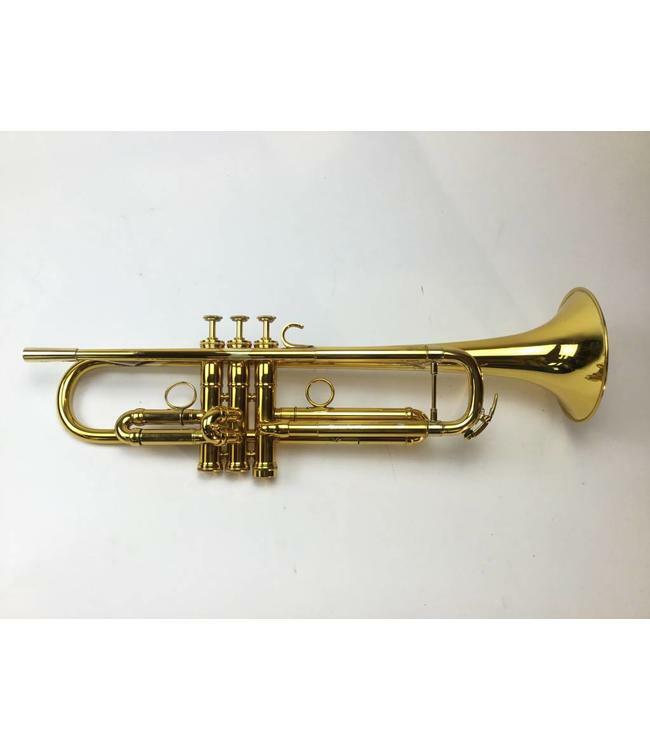 This trumpet is in overall good condition with minor solder marks and lacquer wear throughout, not affecting playability. Comes with heavy bottom third valve cap. No case.